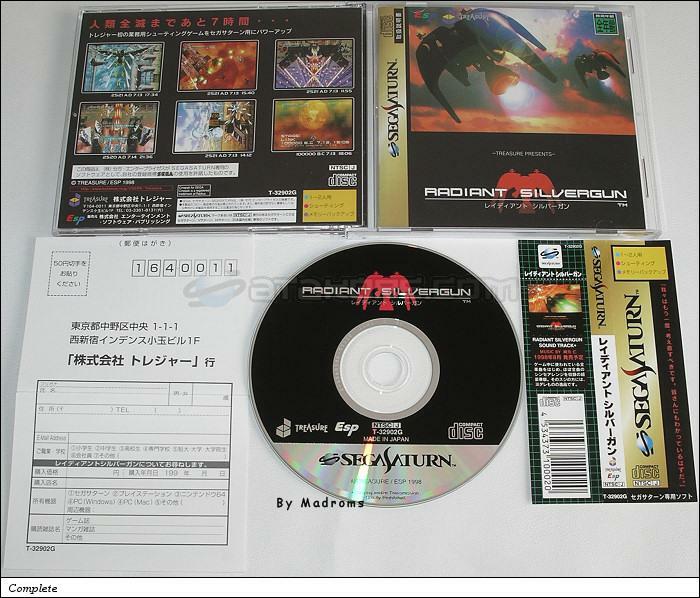 Radiant Silvergun (レイディアント　シルバーガン) is a Shoot-em-up game, developed by Gonzo / Treasure and published by Treasure / Entertainment Software Publishing (ESP), which was released in Japan in 1998 for the Sega Saturn. 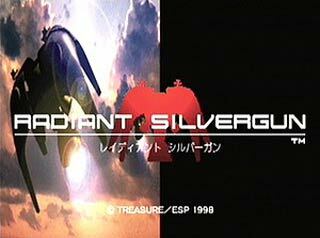 Without gushing about this title too much, it's safe to say Radiant Silvergun still holds the title for being one of the greatest shmups ever made and with reason. No other shmup on the market to this date has as many weapon combos or as varied a weapon system as RSG, and no shmup to this date has bosses to match. RSG's gameplay ranks anywhere from moderate to extremely difficult depending on the level and weapon(s) needed, and scoring well is the main focus instead of just beating the game outright. The Saturn version is a must since it retains the Arcade mode as well as Saturn mode leaving you with more gaming options, including intermissions, extra levels and bosses! 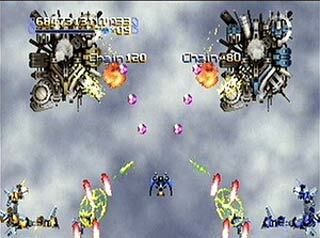 Graphically speaking, RSG pushes the Sega Saturn to its hardware limits providing both 2D and 3D aspects throughout. Although some parts look dated in comparison with today's graphics, RSG still retains the #1 title due to the rock solid gameplay and audio throughout the game. RSG really is the complete shmup package and will entertain and amaze even the most jaded shmup fans. It's rather unfortunate that RSG's price tag is so high due to all the hype surrounding the game, but the game is well worth it for serious collectors. The hype is warranted because RSG really is something to behold, and nothing else in the genre comes remotely close including the purported sequel Ikaruga. People giving this game negative reviews are trying to be different out of spite, or aren't fans of the genre. Disregard any negative press because RSG is the real deal!